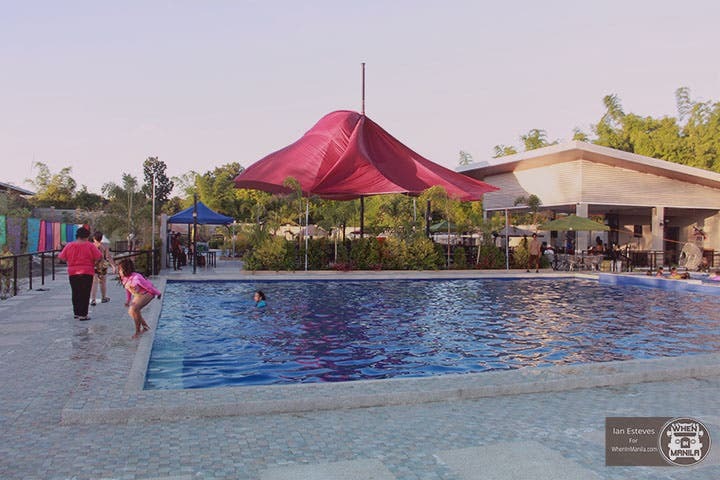 Roman Baths Scrubbing Salon is the first of its kind in the Philippines. Focusing on scrubbing from head to toe, their services exfoliate and make your skin glow using their all natural scrub made of sugar and Himalayan pink salt. Aside from that, their services are affordable because they want ‘scrubbing services’ to be ‘abot-kaya‘ for everyone. Living in the Philippine heat, we normally put a lot of products on our skin (lotion, sunblock, makeup, etc.) until everything accumulates for a while before we decide to exfoliate. Roman Baths focuses on scrubbing because the owners felt like people see scrubbing as a luxury in a spa (because of the expensive prices). Co-owner Ocel Fabian mentioned that Filipinos need to get into the habit of regularly exfoliating to get rid of dead skin cells and improve blood flow circulation. A private room where the body scrub and massage takes place – with its own private shower room. Roman Baths uses all-natural ingredients in their Himalayan salt scrub and sugar scrub. Aside from exfoliation, their scrubs also improves the body’s blood circulation, allows better absorption of skin products, and evens out the skin tone. After cleansing, I received my facial scrub that was followed by pricking, a collagen mask, and a second cleanse. A person should scrub as often as once a week for oily-combination skin and twice a week for normal-dry skin. 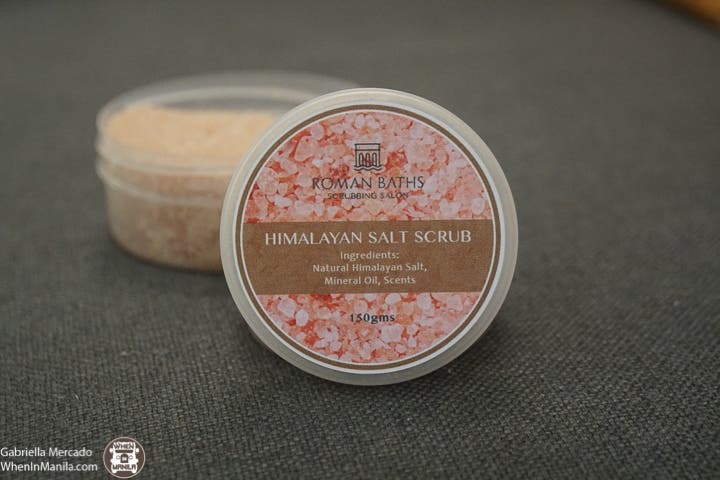 Roman Baths also offers a Himalayan Pink Salt scrub that you can take with you for home or travel use. Scrubbing is for everyone; even kids and men are welcome to try out their services! Their bestselling service is their Body Scrub (Php720), which exfoliates the hard-to-reach areas with a 30-minute body massage – a total pamper package! If you want to give your loved ones the time of relaxation, give them a Pamper Card (Php500.00 – Php2,000.00), which includes scrubbing and massage packages. Drop by their salon to experience relaxation while making your skin glow.